The title of this painting by John William Waterhouse was inspired by the poem To the Virgins, to Make Much of Time by Robert Herrick. You may also be interested in this brushwork close-up of the painting. What a beautiful painting. Thanks for posting it, Leah. You know, it looks like the same location as his Windflowers - mountain in the background, some of the trees, the stream and flowers...a lovely spot to paint. Hmm.. 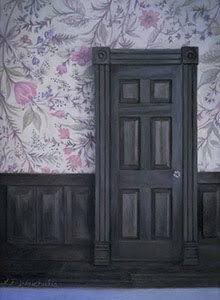 I don't think this one was in Montreal at the Waterhouse exhibit. 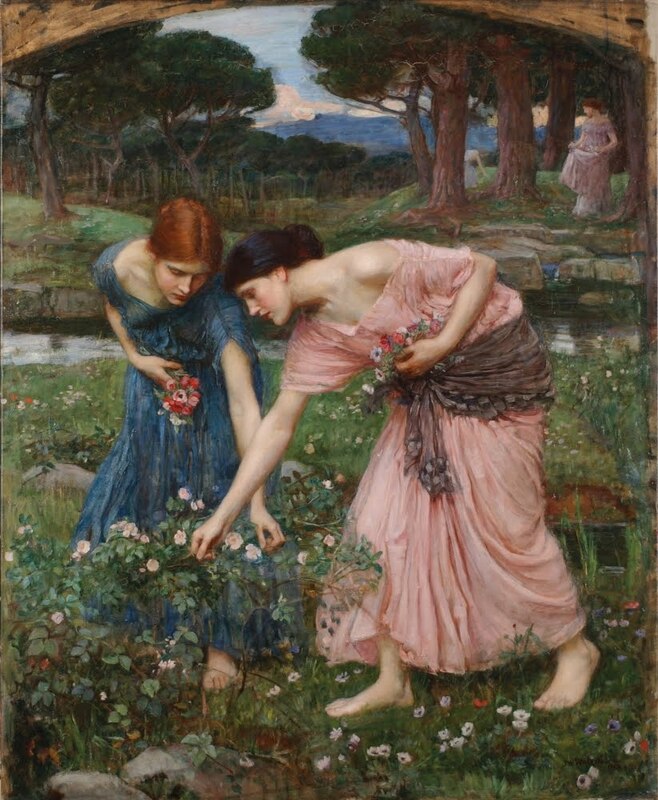 Waterhouse is one of my favourite artists. Went to see an exhibition of his in the Royal Academy of Arts, London last year and his colourwork and palette is incredible with such beautiful models. Linda- Really interesting. Windflowers looks like the same setting to me too. Jason- I'm not sure if it was included either. The painting might be in a private collection. Tom- I'm so jealous! I bet they were breathtaking in person. Yeah, I agree that this painting is absolutely a beautiful one. The scene dramatically vision a womanly approach to simple living beyond the world of nature.